A lava lake within the Halema`uma`u Overlook vent during the past week resulted in night-time glow that was visible from the Jaggar Museum overlook. The lake, which, through much of May, has been about 60–80 m (200–260 ft) below the floor of Halema`uma`u Crater and visible by HVO`s Webcam, dropped to a comparatively low level, roughly 120–140 m (390–460 ft) below the crater floor, last weekend. 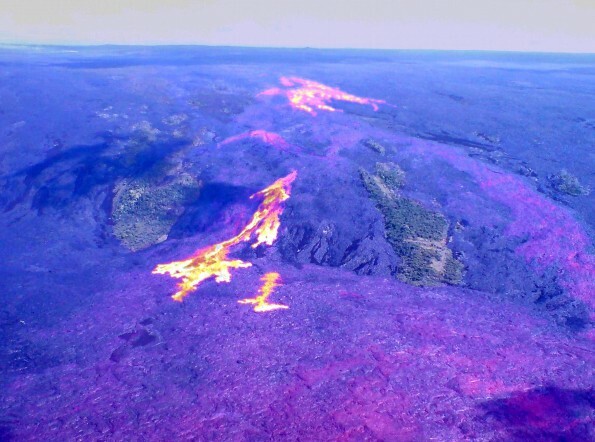 By mid-week, the level had recovered, and the lava lake was again about 60 m (200 ft) below the Halema`uma`u Crater floor. On Kilauea`s east rift zone, surface lava flows on the pali and coastal plain stagnated last weekend. Activity started again early in the week, and breakouts from the tube sent new flows pouring down the Pulama pali. Lava reached the coastal flats and advanced several hundred meters (yards) out from the base of the pali by mid-week. There was no ocean entry as of Thursday, May 31, and, based on recent patterns, the surface flows are not expected to reach the ocean any time soon. Two earthquakes were reported felt beneath Hawai`i Island this past week. A magnitude-3.5 earthquake occurred on Saturday, May 26, at 2:11 a.m., HST, and was located 13 km (8 mi) west of Pahala at a depth of 7 km (4 mi). A magnitude-3.3 earthquake occurred on Tuesday, May 29, at 8:21 p.m., HST, and was located 14 km (9 mi) south of Volcano at a depth of 11 km (7 mi). 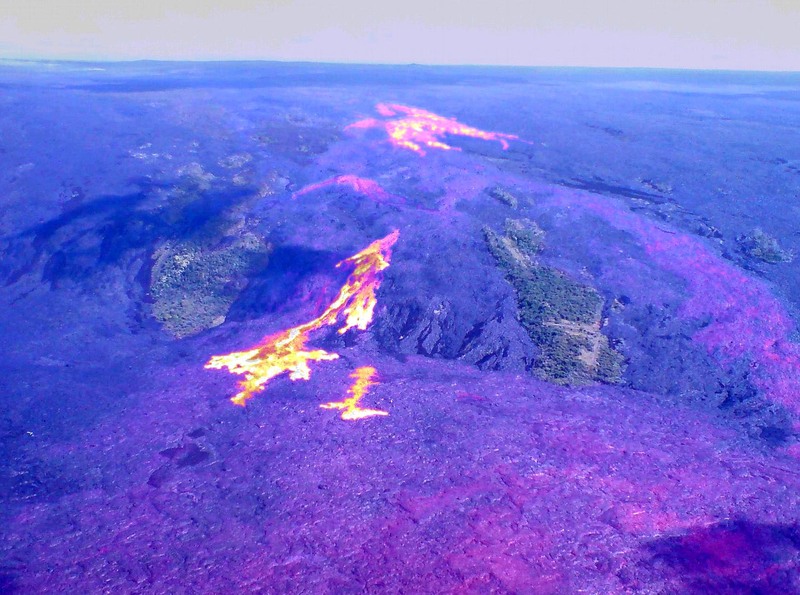 Time-lapse movie of coastal plain and pali lava flows.